B was going to his grandparent's new apartment to help them set up their new TV. I knew about it late Friday night, but since it was our gaming night, I didn't think to make something for them until that morning. What's quick, though? Why, quickbreads! Quickbreads are categorized by the speed in which they can be thrown together, without the need for yeast to rise them. Muffins, scones, biscuits, etc., all count as quickbreads. 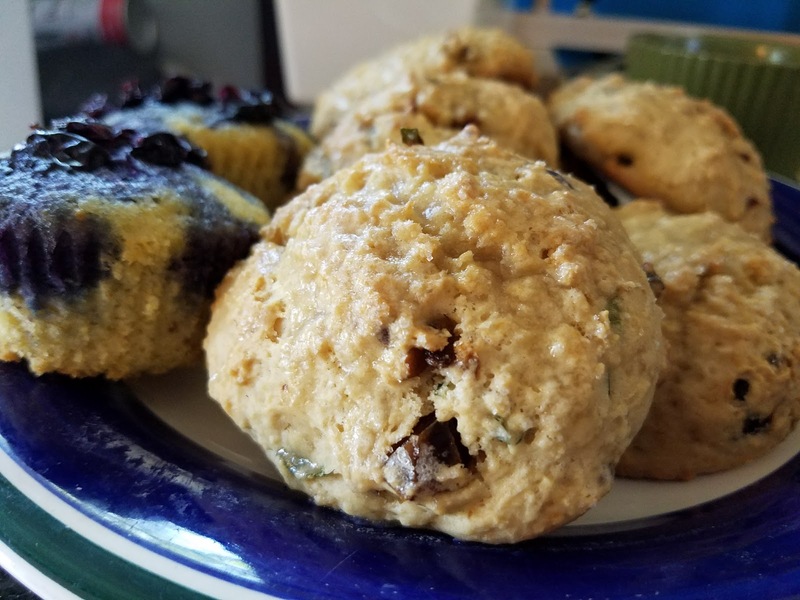 I didn't feel like muffins, so I thought scones would be a nice thing for me, for them, and for later. I ended up making enough for B to take to his grandparents' place, for us to keep, and for me to take some to my friend's birthday party later that evening. 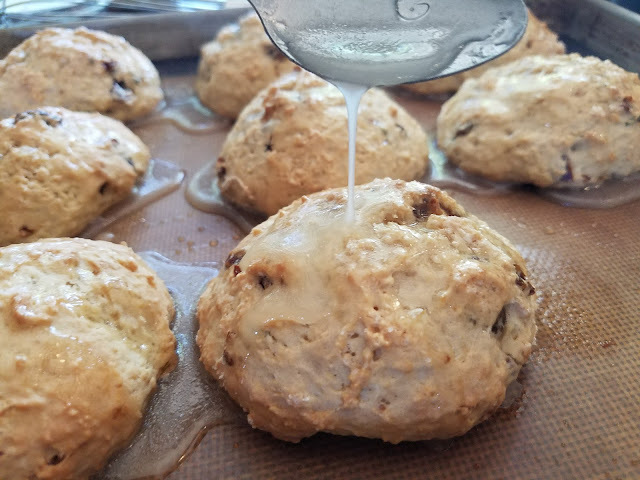 A scone is a wonderful vessel can be sweet or savory, and you can put virtually anything in them. 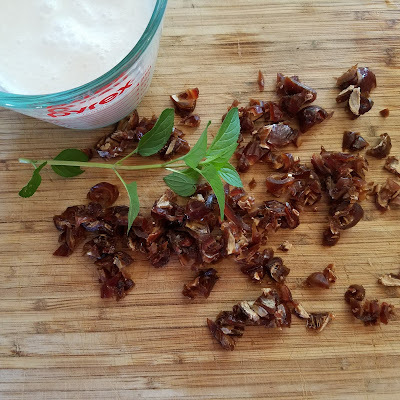 Being the responsible wannabe-homesteader that I am, I wanted something to use up some of the stuff that I might have a little too much of, and when I saw the container of dried dates in my cabinet, I just couldn't resist. Using what you have is not only being financially smart, but it makes you sometimes be a little more creative. 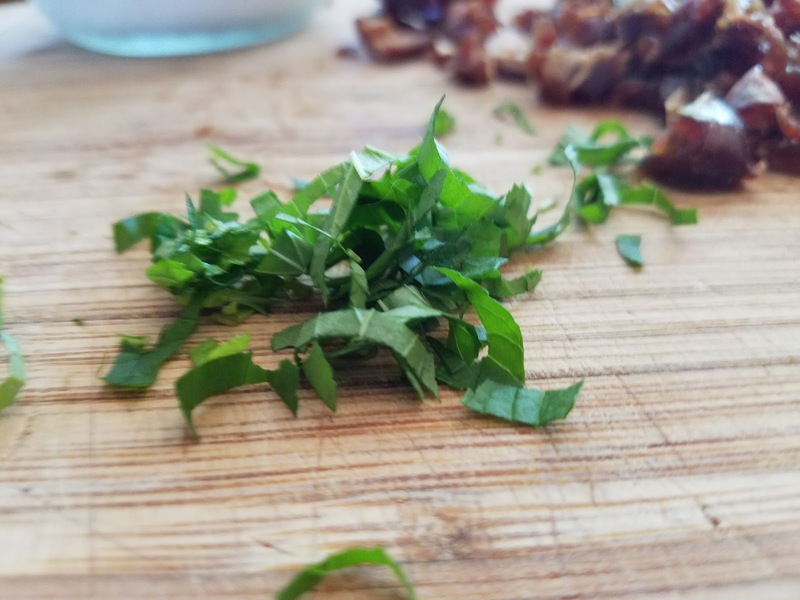 Trying new things in the kitchen and figuring out if something works or not is a sort of exciting gamble that lets you eat your experiment. So what if it fails? You only lost a little flour and sugar; not your house. Dates are a wonderful fruit that have a ridiculous amount of sugar. There's a wonderful company that I've worked with called The Date Lady which makes caramels, syrups, sugars, chocolate spreads, and more from dates! I simply adore their date syrup on pancakes, because it's just as sweet as maple syrup but has so much more depth...and I can feel a little better about it because it's made from fruit. Seriously, check them out! What goes with dates? Why, mint, of course! Mint grows like a weed, and I've got an honestly ridiculous amount all around my garden, in various locations on my property, too, as I've planted it, forgotten about it, and then seen it pop up randomly the next spring. Mint is a perennial, which means it comes back every year. Mint flowers are also extremely popular among foraging honeybees, so you can definitely feel good about having it in your garden, be it for tea, for baking, for making oils, natural shampoos and air-fresheners...the list goes on and on. Anyway, time to bake! Adapted from "The Afternoon Tea Collection"
when you need them to be (Hello pie dough) and you can even find them at reclaim stores. Combine your flour and baking powder in the bowl of a standing mixer and fix with a paddle attachment. Mix for about 30 seconds, just enough to make sure everything is combined. Add the honey and the coconut oil, and mix until the mixture looks just crumbly. Add in your chopped dates and fresh mint, then stir for about 10 turns, just to coat everything with flour. Add your coconut milk and that's it! 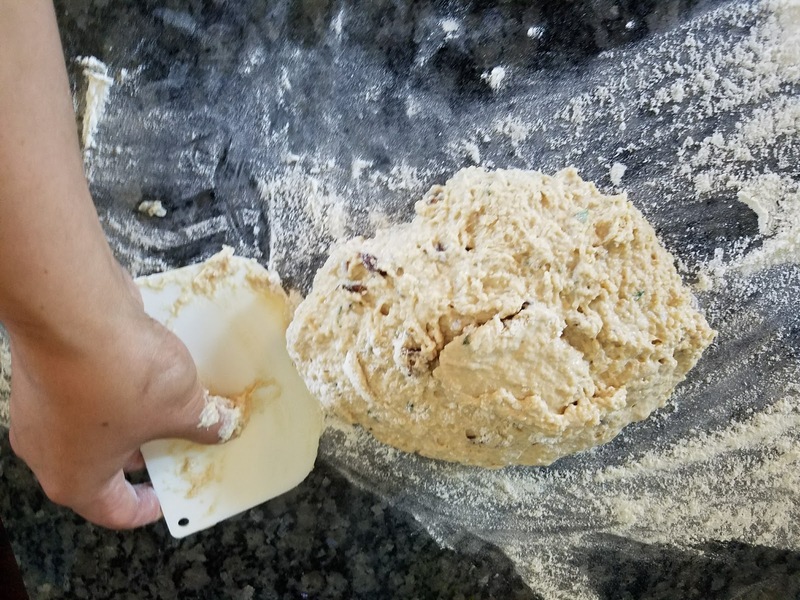 This is an extremely quick recipe that produces a rather wet dough, but you can use a nice ice cream scoop or two large tablespoons to make dollops on a baking sheet, lined with parchment or a silpat mat. You can attempt to roll it out and just cut off pieces that you think you'll want for the size, but I didn't want to risk over-working it with a floured surface. Quickbreads should be just that: quick! Bake at 425 for about 17 minutes, or until the bottoms are crisp and color on top is set. You can also give the tops a bit of an egg wash, but that's up to you. While everything is baking, clean up and make the glaze. If you're feeling a little crazy, you can even add some fresh mint in to the glaze, for some of that pretty color! Garnishing with candied mint leaves, as well, is a good way to use up that quick-growing mint. All you do is combine everything with a whisk until it's smooth, and then set in the fridge to chill just enough to be pourable but not solid. Simply let your scones cool for about 10 minutes before you ice them, and you're good to go. I hope you've enjoyed the recipe! Follow me on Instagram and Twitter, and look for my tags, #wannabgourmande! Of course, you can get more info and more fun content on my Facebook page. Thanks for hanging out with me! Happy cooking and happy eating!